Century A&E is a full-service engineering and architectural design group with decades of experience providing quality designs and construction assistance. We work closely with our clients on their projects that require various architectural, engineering and construction services at all different phases of design and construction. At Century A&E, your job is given the priority it deserves. From concept to completion, Century A&E is there partnering with you to manage all phases of the work and deliver a quality product. It is this care and concern that has made us a leading Facilities Design group in West Michigan. Through numerous completed projects, Century A&E has developed a successful approach to produce a complete design and construction package for a variety of projects and industry sectors. This project was initiated by the client in order to bring the facility in compliance with OSHA standard 29 CFR 1910.119 Process Safety Management of Highly Hazardous Chemicals, Part (j) Mechanical Integrity. 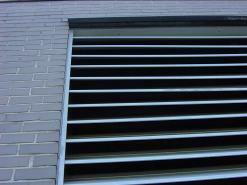 Prior to beginning this project, no Mechanical Integrity Maintenance Guidelines existed. Develop guidelines and equipment data bases that are highly accurate. Eleven (11) Mechanical Integrity Guidelines have been completed including guidelines for maintenance of Glass Lined Vessels, Metal Tanks, Conservation Vents, Rupture Disks, Pumps, Pressure Relief Valves, Heat Exchangers, Hoists, Tanks, and Highly Hazardous Piping. Preliminary engineering analysis and design services were provided to build a unique testing area to facilitate fuel injector performance test, which uses a variety of heated diesel fuels and Class II fuels for testing. The testing area comprised of a testing chamber and two fuel storage rooms. The design included review of stringent fire and building codes, safety interlocking systems with testing equipment, special ventilation requirements, fire protection systems, power, lighting, as well as special architectural design for noise isolation specialty sliding doors and space planning. This project involved the conversion of a single story 11,000sf high bay industrial building into a two-story 20,000sf modern office building. Perimeter mezzanines were added for the second floor offices creating a central balcony and atrium complete with Kalwall domed skylights and exposed structural décor. An existing industrial overhead bridge crane was reconfigured and left in place to accent the industrial theme of the office space. Modifications to the existing interior column footings were achieved by utilizing helical retrofit foundation piers to increase the load capacity. This innovative method of foundation modification proved to be fast and economical, thus keeping the project within budget and on schedule. 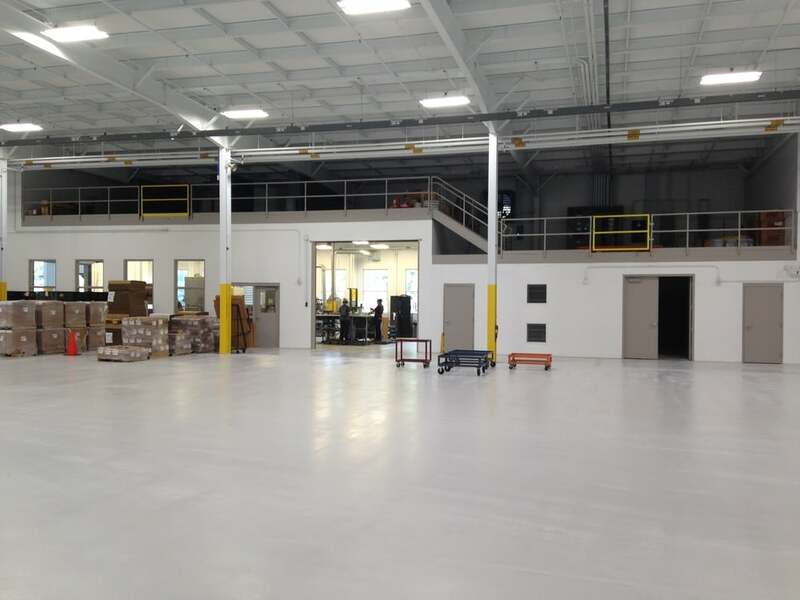 This project included mechanical and electrical design and construction assistance during the phase for the relocation of a Michelin tire retreading process. Before the relocation of the tire retreading equipment could occur, the new space needed to be outfitted to accommodate the various buffers, analyzers and curing chambers required in the tire retreading process. Compressed air, process hot water, make-up water and electrical power and data was sized and routed to where the relocated equipment will be set in place by Michelin. The design also included extensive planning and coordination to allow a seamless relocation and as little process downtime as possible. The existing Student Study Center was renovated to support the School of Education’s (SOE) Student Assistance Center. This unique area was a 1000 square-foot open floor space with a ninety-degree circular segment. The renovation included a new reception lobby, racking file storage system, general office space, conference rooms, and other enclosed office space. 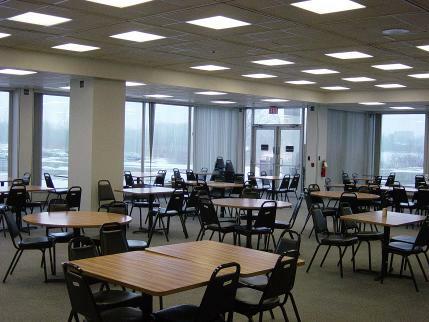 Renovations also included new lighting, HVAC, and updated wall and floor finishes. 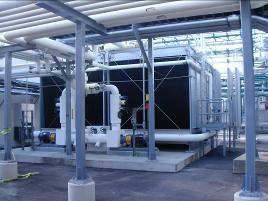 This project was an expansion of the existing network data center on their main campus. This data center was the central hub for routing telephone and data communication between the main campus in Allendale and all downtown campus buildings. The project was completed with a short construction schedule. Certain equipment required special rigging to lift equipment five stories with a crane. In addition to the original work, the project later included provisions for an emergency power and UPS back-up to the WGVU radio and television studio. Project included the schematic, design development, design documents and construction assistance phases for a new 50,000 square-foot, 3-story, academic building on the main campus of GVSU. The facility has a LEED certified Silver rating building with high energy efficient HVAC and electrical systems. The facility was designed with the intention of connecting the campus chilled water, steam, and medium voltage electrical utilities into the new building. 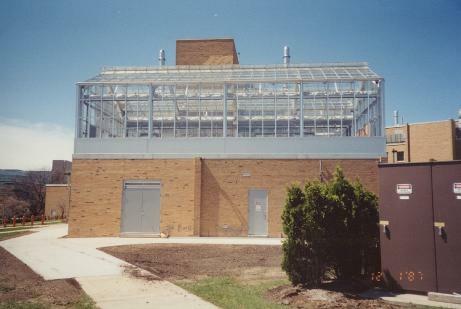 This project involved the demolition of an existing 1,000 sf greenhouse structure and the addition of a new 2,400 sf greenhouse and conservatory on the roof of the Arts and Science Building at Ferris State University. 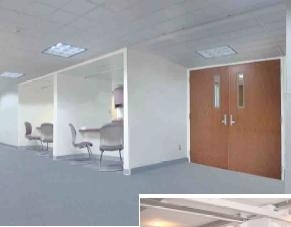 An 800 sf mechanical room addition on the ground floor was also required. Detailed coordination of all design disciplines was necessary to integrate this climate controlled horticultural conservatory with the existing building. The existing HVAC and electrical systems were reworked to reflect design changes. The project was completed in five phases to allow for the radiology department to remain functional 24 hours a day. Century A&E solely managed the construction of the suite. The project involved interior renovations to patient rooms and storage areas to relocate the nurse station for both patient care wings on the third floor. The nurse stations were relocated from the front of the wing to the middle of the wing to provide a more central command center. This layout reduced travel distance for the staff nurses, improved patient care, and provided additional clean storage space and other utility spaces. The design required new interior design, relocation of walls, modifications to lighting, power, HVAC and plumbing. This project was designed in conjunction with the architectural firm J. Laporte & Associates. This project consisted of a complete phased replacement and expansion of the emergency department. The project design included cutting-edge technology, equipment and the latest in emergency patient care rooms, new triage rooms, new canopy entrance, and new waiting room. The design included redesign and use of the existing HVAC system and new packaged roof top unit. The electrical distribution system was expanded and upgraded to meet the needs of the new technology and equipment. All new lighting was designed to provide architectural accent as well as provide proper lighting levels. Construction was completed in four phases in less than seven months with the emergency department always fully functional. 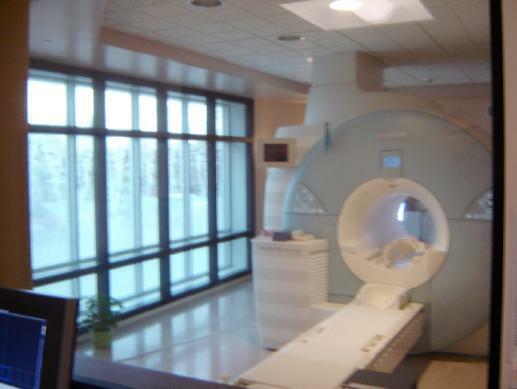 This project consisted of space renovation in the existing radiology department for a new fixed MRI examination suite. The project design included a completely shielded exam room, control room, equipment room and additional work spaces. All new HVAC with humidification control and new lighting was part of the project. Construction was completed in less than four months. Century A&E solely managed the construction of the suite. Project intended to provide additional treatment and VOC removal to Owner's aqueous waste stream that is injected into an existing deep well system. Detailed design, construction and commissioning phase activities through installation and start-up. The project was completed on a phased and accelerated schedule to meet environmental objectives and deadlines established by Owner's management. The project was also completed below the project budget. New environmental regulations were requiring buried fuel oil piping to be taken out of service and replaced with above ground piping. The project was done in phases in order to limit the time the facility was without fuel oil. Century A&E performed field verification of existing drawings, modification to existing piping and instrument diagrams (P&IDs), pump sizing and specification, piping drawings, hanger details, structural modifications, pipe bridge design and power and instrument wiring diagrams. Project involved the demolition and removal of existing Juice Storage Tanks and the installation of new storage tanks and new juice transfer pump with a VFD. The new storage tanks were larger in order to provide more storage capability. The operation of the storage tanks was upgraded to integrate with the existing operation which included installing a PLC and other controls. 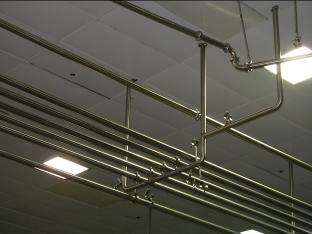 With the increased capacity the clean-in-place operation was increased for the tanks and larger diameter piping. Modifications to the truck unloading operations to service their new storage tanks were also included. 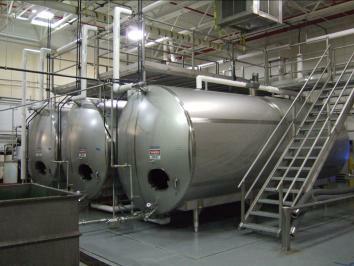 Century A&E performed the sizing and specification of the replacement tanks, pump, instrumentation and controls. Prepared bid documents for mechanical and electrical contractor installation. Coordinated the installation with maintenance and manufacturing. Validated the installation, following the client’s standard operation procedures. This project was designed to upgrade the glass processing equipment CIP loop to meet requirements for cleaning the piping and equipment involved in processing potential allergens. The CIP operation was upgraded to integrate with the existing CIP equipment PLCs. It included addition of new instrumentation and controls in order to document and validate the cleaning of the process loop. A functional description was created to incorporate the new controls into the existing PLC. Century A&E performed the sizing and specification of the various equipment, pumps, valves, instrumentation and controls. Piping plan and elevation drawings along with wiring diagrams and one-line drawings were created along with bid documents for mechanical, electrical and integrator contractors. Engineering and construction support services were provided during the construction phase of the upgrades to the Coldwater, Michigan treatment plant. The 2.7 million gallon per day treatment plant was increased to 3.2 million gallons a day. A new SCADA system, instrumentation and the latest water treatment technology were incorporated into the design. Design services included modifications to control systems, instrumentation, and modifying the original design to meet actual field conditions. Construction support included the contractor’s RFI’s, site inspections, on-site evaluation of construction issues, and start-up support. 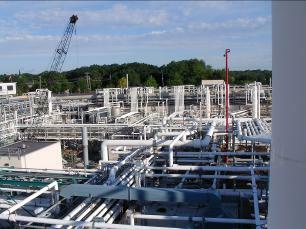 Engineering design and construction support services were provided to implement improvements to the quality of the treatment process at the plant. Improvements included a new clarifier, chemical treatment process, additional transfer systems, and a new chemical treatment building. Design services included modifications to the plant power distribution system, complete new master control station, instrumentation, motor controls, P &IDs, interior building lighting, site lighting, building heating, and building ventilation. Construction support services included resolving construction issues as pertaining to the design, review of equipment submittals, on-site inspections, and support during process startup. The streetscape lighting along Ferry Street was expanded along the main downtown area. Project entailed improvements to the walks, street and lighting. Design for the project included site lighting design, light level analysis and HPS versus LED replacement analysis. A study was conducted to determine the feasibility of using LED technology for the lamps versus traditional HID fixtures. The study included review of projected energy savings, light levels, maintenance, and initial investment as well as the payback to use LED technology. The LED lamps were not used due to a lengthy payback period. This project was completed in conjunction with Prein & Newhof (Civil Engineering). The project was phased such that the first unit (AHU-10) was operational prior to the shutdown and demolition of the second unit (AHU-9). 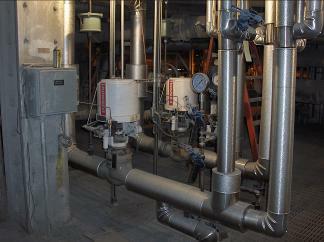 The project involved the demolition and removal of existing boiler attemperator piping and controls. 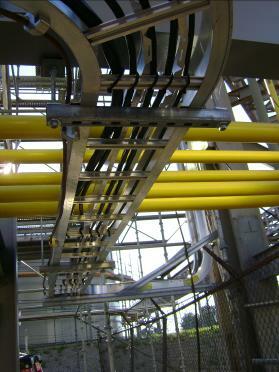 The piping was replaced with 304 stainless steel piping and the controls were updated. Century A&E performed the field verification of existingpiping, layout and design of the new piping and instrumentation. Century A&E prepared piping and instrument diagrams (P&IDs), demolition drawings for piping and instrumentation, plan and elevation piping drawings, hanger details, spool drawings for shop fabrication of the piping and wiring diagrams. The project involved remodeling and additions to create a new control room to combine the operations functions of two generating units into one space. Creation of the new Central Control Room required the relocation of the plant's Instrumentation and Controls department lab and offices as well as new rooms for document control and training functions. The Central Control Room included Operator support areas such as emergency response equipment storage, library, kitchen, and toilet rooms. Adjacent to the Control Room is a new production supervisor's office. Concurrent to this work was the addition of new instrumentation and control valves to increase the efficiency of the operations throughout the plant. Century A&E provided complete design of architectural, mechanical, HVAC/plumbing, process instrumentation/valves, electrical power and lighting, and controls retrofit design for this project. The project involved the demolition and removal of an existing feedwater heater and the placement and installation of a new feedwater heater. The replacement feedwater heater was larger and heavier than the existing feedwater heater. This required structural modifications to the support framing along with the operating room floor. Temporary floor reinforcement was required for staging the installation of the replacement feedwater heater. The existing piping had to be restrained once is it was disconnected from the existing feedwater due to cold spring being designed into the piping. 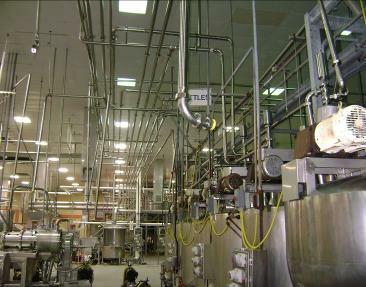 Piping modifications were required because of the larger diameter feedwater heater. Also, in order to improve operation of the feedwater heater a new alternate drain line was designed. Pipe stress analysis was performed on the new piping and feedwater heater nozzles using CAESAR II software. Various instruments had to be replaced or relocated due to the age of the instruments and the larger feedwater heater being installed. The deliverables included both demolition and construction drawings for the structural steel modifications and details, piping layout and details, pipe stress analysis, instrument location plans, wiring diagrams and bills of material.